Welcome to September's SCUBA News. Our creature of the month is the ever-popular clownfish: specifically the Red Sea Clownfish but other clownfish are similar. We've also news of a record-breaking scuba dive. Many congratulations to Ahmed Gabr. And of course, the diving and marine news from around the world. 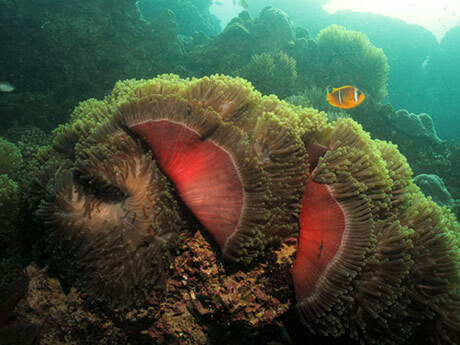 Amphiprion bicinctus is the most common clownfish in the Red Sea, hence its common name. But it doesn't just live in the Red Sea. You will also find it in the Gulf of Aden and in the Chagos Islands in the Pacific some 3364 km away. But curiously nowhere inbetween. You see the Red Sea Clownfish from the shallows down to 30 m. They live in pairs or family groups in association with an anemeone. This is a classic example of symbiosis. 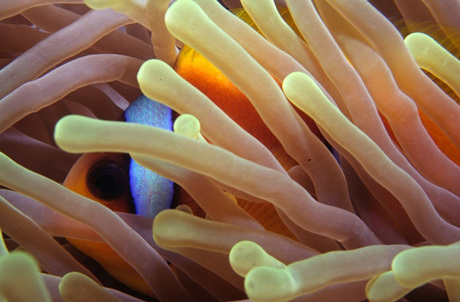 The tentacles of the anemone protect the clownfish from predators. 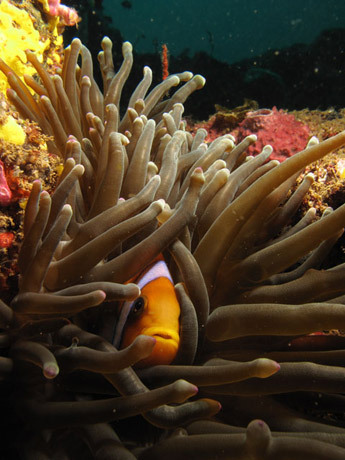 At first contact with the anenome the clownfish jerks back, but gradually its mucus coating gives it immunity to the anemone's stinging nematocysts. The benefit to the anemone is probably down to the fish's swimming within its tentacles and wafting them around, thus increasing the water flow and hence the amount of oxygen available to the anemone. The anemone may also feed on the fish's waste material. The male cares for the eggs, driving away intruders. Even divers have been attacked if they get too close. He blows water over the eggs, giving them oxygen-rich water and preventing fungus from growing over them. After around a week the eggs hatch, usually soon after sunset. The larvae then drift in the current for more than a fortnight before seeking their own anemone. 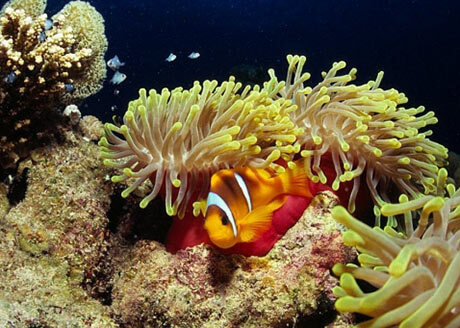 A recent study found that the larvae of a similar species, the Omani clownfish, regularly travelled 400 km - the longest distance scientists have been able to track the dispersal of any coral reef fish! 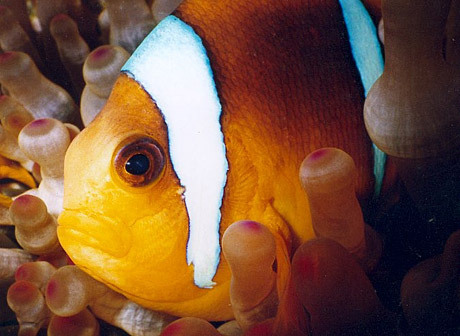 You can identify this clownfish from others as it has no white stripe at the base of its tail, the tail is orange and of course by its location. Many have blackish backs but some are pure orange. They grow to 14 cm long. Photo credits: Tim Nicholson, Mike Keggan. 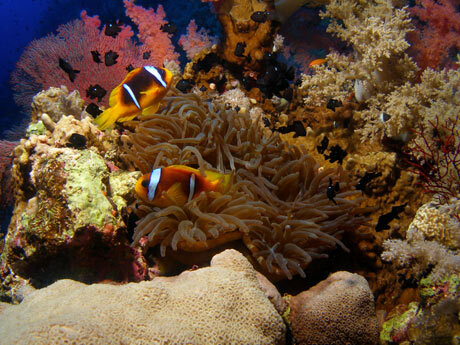 For more photos see our Red Sea Clownfish page. 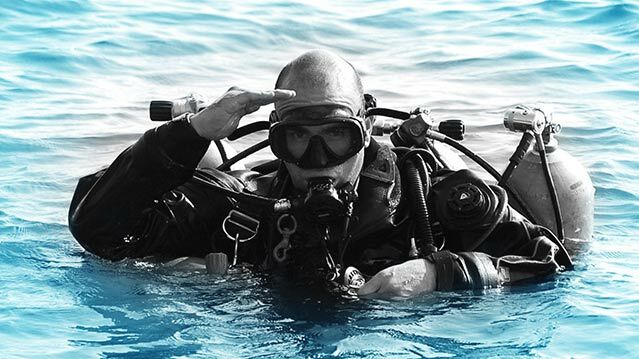 Ahmed Gabr has made the deepest ever scuba dive - to 332.35 meters - in Dahab in Egypt. The dive was projected to take 14 hours to complete, with just minutes of this being the descent time. Gabr and his support divers team used around 90 tanks (plus 17 twinsets) in the course of the dive. His ascent took so long to allow for his enormous decompression time. The previous world record of 318.25 meters was also set in Dahab’s Red Sea, in 2005 by Nuno Gomes, a South African. Dahab is a small town on the Sinai peninsular, saturated with dive centres. Dahab means “Gold”, and it was named by the Bedouin for its golden sands. The sea here quickly drops off to great depths. Gabr made the world record dive in waters that are around 600 m deep. During training the support team grew to 20 people to enable the logistical success of the deep dives: tec divers, dive instructors, IT experts, commercial divers, free-divers, photographers, drivers and carriers. In the dive itself the deepest support diver was at 120 m. Any deeper and you would need another support team for the support diver. 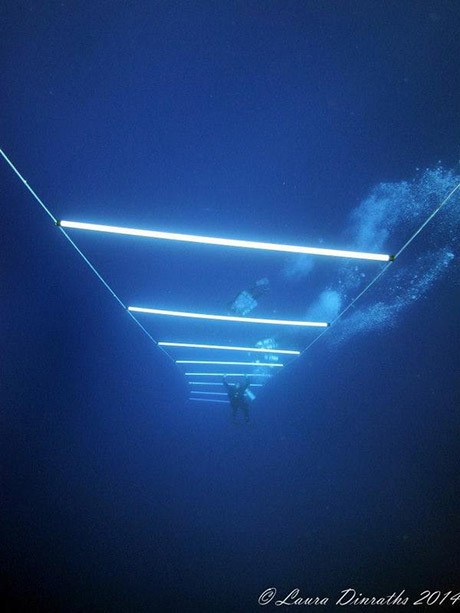 At 30 m there was a decompression ladder - especially made for the divers to hold onto. The deco ladder is 3 metres wide and has pipes at 3 metre intervals from 3 to 30 metres. It was tied to the actual dive line. Once Gabr got to this stage of the decompression, it allowed two divers to hang with him on the ladder to easily monitor his condition. Dive computers weren’t guaranteed to work at the deepest depths, so for the dive itself Gabr used three dive computers and collected tags placed at points from 320 m down. Ahmed Gabr was an officer with the Egyptian Military, having graduated from the Military Academy in 1994. He continued his career by joining the Special Forces, the Egyptian Rangers, and eventually earned a scholarship to the United States Army Combat Diver Course. The British Sub-Aqua Club has launched Diving for All, a new instructor course designed to provide qualified Instructors with the skills and mindset to teach people with disabilities within their branches and centres. Good news, whale lovers: A new analysis suggests that there are as many blue whales living off the coast of California as there were before humans started hunting them to near extinction 110 years ago. Can bluefin tuna limits save fishery? California anglers will be restricted to just two bluefin tuna per day instead of 10. Tuna caught in US waters are almost exclusively small, juvenile fish. The ocean wide population has plunged to just about 4 percent from its historic high - so should sport fishermen be allowed to catch any a day? Protection for Australia's Great Barrier Reef: Should More Be Done? Australia's Great Barrier Reef has lost half of its coral cover over the past 30 years. To stave off threats by the United Nations to add the reef to its list of at-risk World Heritage sites, the Australian government unveiled a 35-year plan to save the fragile ecosystem. But Conservationists say the plan doesn't go far enough to protect the reef. Japan's plan to restart its whaling programme just got harpooned. From now on it will have to work much harder to convince the world that its "scientific whaling" should be allowed to continue. Results from a new study suggest that marine ecosystems, such as seagrass meadows, may help shell-forming organisms overcome the effects of future ocean acidification. A growing "dead zone" in the middle of the Arabian Sea has allowed plankton uniquely suited to low-oxygen water to take over the base of the food chain. Their rise to dominance over the last decade could be disastrous for the predator fish that sustain 120 million people living on the sea's edge. Researchers from the University of New South Wales in Australia have created a new model that could help determine who is to blame for each ocean garbage patch of floating debris.